You’re selling your home, and you have a pool. That means people will be in and around your home when you aren’t there. A pool is an inherent liability when you’re there, so you’ll need to make sure you have things in place to keep everyone safe. 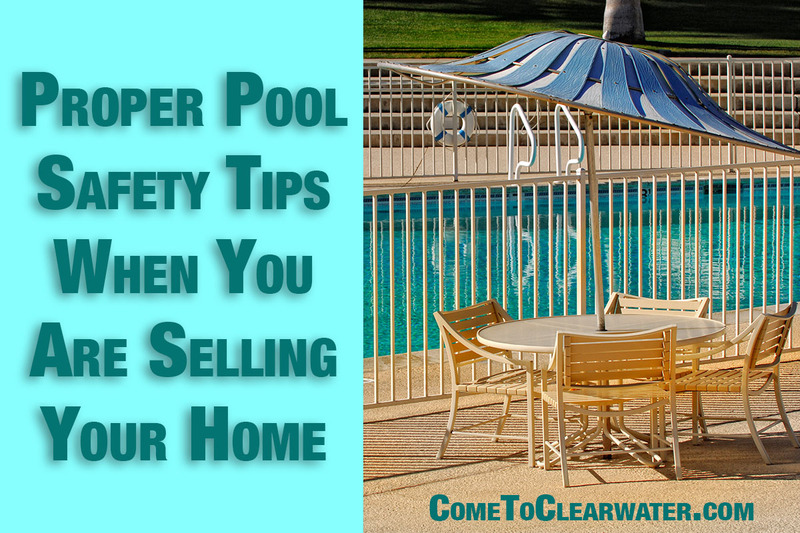 It may just mean you sell faster too, since a buyer won’t have to make a pool safe. First thing you’ll need to make sure you have installed is a physical barrier. This barrier should be one that prevents a child from getting over, under or through it to gain access to the pool. These are typically a fence or wall with a security gate. The fence or other barrier should be at least four feet high or taller. It should have no footholds or handholds that could help a young child to climb it. A few guidelines: spaces between shouldn’t be any more than 4 inches apart or 4 inches from the ground. Gates should be self closing and self latching and the latch should be high enough that small children can’t reach it. The type of gate and fencing may depend on your homeowners association, so check with them first. Next, think about an alarm for the pool area. The alarm will emit an audible sound when triggered. They can include a gate alarm with a magnetic switches that activate when the gate is opened; a door or window alarm if one wall of the fencing is a house wall; or a floating alarm that goes off if the water in the pool is displaced. Any alarm should sound for 30 seconds or more, and within 7 seconds after it is activated and sound different than things like your doorbell or smoke alarm. Another item to consider is a safety cover. A safety cover is either manual or motorized and covers the pool. It keeps people out of the water and most have a lock to keep kids from opening or closing it. It should be strong enough to support the weight of two adults and one child. It should also be easily opened in an emergency. 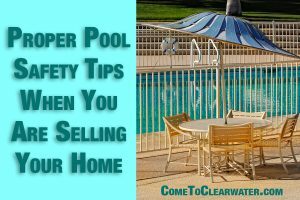 These steps will keep your pool under lockdown when you aren’t there, and make it a safe prospect for a buyer who might be worried.